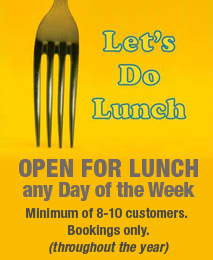 There is free parking for customers a 2 minute walk away. 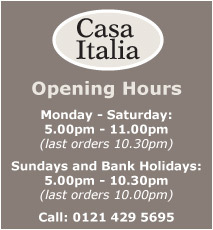 Welcome to Casa Italia, Birmingham’s Italian hidden secret. 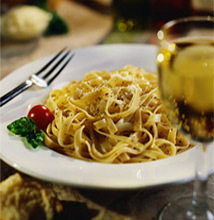 Whether it’s a romantic meal for two, a family gathering or a special occasion, Casa Italia has exactly what you need. A family run restaurant with character and a warm atmosphere, Casa Italia offers a vast choice on its menu with a variety of freshly prepared dishes. Pizzas, Pastas, Steak, Chicken and Fish fill the main course selection and the infamous garlic bread is definitely worth a trip.